Power of Love’s micro loans program is located in a community where most residents live on less than a dollar a day. The direct beneficiaries of this program are women (many are grandmothers caring for multiple orphaned grandchildren) and children as they have been disproportionately impacted by the HIV and AIDS epidemic in Africa. Women enrolled on this program are provided with business training, loans to start a business, and business mentoring and advice during the loan repayment process. The goal of this program is to empower women by teaching them a marketable skill so they can take better care of their families. Our vision is to enable women to become self-reliant by providing them with tools that enable them to take care of their sick family members, prevent the spread of HIV, and provide for their families. Businesses started with these loans are diverse and range from selling bananas along the roadside to brick-and-mortar stores selling used clothes, toys, and shoes, and cell phone chargers and accessories. About 80% of the new businesses sell groceries (dried fish, charcoal, popcorn, mealie meal (a Zambian staple), rice, eggs, detergent, and cooking oil) etc. At this time we have 272 direct beneficiaries and more than 1900 indirect beneficiaries as each women cares for seven people on average. Unlike most micro loans programs, this program is a part of our comprehensive program that includes pediatric HIV care, malaria prevention, and Safe Park programs. For example, we encourage micro loan recipients to enroll their HIV positive children in our pediatric HIV care program and take advantage of our malaria prevention, and Safe Park programs. This allows us to reach and impact a family in several different ways. Since the family is enrolled in multiple programs, in addition to learning how to run a business, the women also learn how to care for their HIV positive children/family members, the importance of keeping children in school, and HIV and malaria prevention. A benefit of this comprehensive approach is that it significantly increases the loan recipient’s chances of success in business. Overall, as the women gain valuable experience and expertise in their line of business they are gaining confidence, working hard to provide for their families, keeping their children healthy, and paying for school expenses. Most women share their learnings and become role models/mentors for others in their community. For example, one of our graduates Agness has become a role model for women around the world. Her story was published on the UN Women’s website. Our loan recipients (all are women) range in age from 33 to 65 years old. Of these, about two-thirds are single or widowed. On average each woman cares for a total of 7 or more people, five of which are children. The majority of the women use loan funds to start new businesses and the rest use these funds to expand existing businesses. Businesses started with these loans are diverse and range from selling bananas along the roadside to brick-and-mortar stores selling used clothes, toys, and shoes, and cell phone chargers and accessories. About 80% of the new businesses sell groceries (dried fish, charcoal, popcorn, mealie meal (a Zambian staple), rice, eggs, detergent, and cooking oil) etc. Some women travel by bus to the City Market in Lusaka, purchase the used clothing, toys, and shoes and resell these items at a better price in their community. Many businesses such as charcoal, rice, beans and sugar involve the women buying in bulk, repackaging the item in smaller quantities and reselling. All of these businesses add value for the community members as they are located within walking distance from their homes and the community is able to purchase smaller and more affordable quantities. Community residents have told us that they are grateful and happy as some businesses/services like women’s hair cutting and basic hair salon services would not exist in the community without this program. For stories of a few women, look to the bottom of the page. Our loan officers monitor and track the progress of businesses via weekly meetings, business mentoring sessions, and field visits. In addition, refresher trainings provide additional support. Every week, the women meet with their loan officer to make repayments. In addition to making repayments, they discuss business related issues and other issues important to them such as HIV prevention and care, cancer screening, the importance of keeping children in school, adolescent children issues, hygiene etc. The program also encourages those who have graduated to mentor those currently in the program. In a typical business mentoring session, women graduates who are running successful businesses are invited to speak to current loan recipients. The business mentor motivates and inspires loan recipients to continue to work hard and to address challenges. Field visits and on-site conversations by loan officers provide an opportunity to review strengths and weaknesses of the business, check if techniques demonstrated during training are followed, and offer business consulting. For example, the loan officer may provide advice and guidance on store display, store design, accounting, underscore the importance of customer service, as well as the regular use of work sheets. In addition to intensive training prior to receiving loans, recipients must attend a refresher training at the end of the first loan cycle. The goal of the refresher training, moderated by a professional, is to motivate women to continue to work hard and act as a support group. These trainings provide an opportunity to build partnerships with other women, and to discuss and learn from successes/challenges, and share their learnings and plans for the future. Our loan officers meet with the women on a regular basis to offer business advice and evaluate the impact of our loans program. The table below provides a summary of this evaluation. But the most important result is that our loan recipients have developed significant knowledge regarding the importance of keeping children in school, HIV prevention and care, and have acquired business skills and experience. Challenges: Our women continue to face significant challenges. Some women face personal problems, like being sick themselves or having to attend to a sick family member. This leads to less time for their business and consequent loss of potential sales. Second, a significant portion of the women’s earnings are spent meeting the needs of the family so they are not able to save enough to purchase larger quantities of raw materials/inventory items for their business. Third, the devaluation of the Zambian Kwacha has led to an increase in prices of raw materials and goods. This is hurting businesses as the women are able to purchase smaller quantities for sale. The current inflation rate in Zambia is 7.5%. The impact of this program goes beyond the economic benefits of increasing income and earnings in the short term. The women now have the necessary capital and skills to continue to run and grow their businesses. Most have gained confidence, share their experiences and have become role models/mentors in their community. The long term impact of this program is to teach women how to build and run a successful business, acquire the habit of planning and saving, and understand the importance of keeping children in school. A larger loan size is better for business. Accordingly, our plan is to provide bigger loans to women. Counselling can increase the probability of business success for women going through personal problems. Going forward we plan to provide extra support and counseling to a few women. Qualifying women prior to enrollment: To reduce defaults in loan repayments, we need to gather more information before the women are enrolled. For example, we should ensure that the women are not enrolled in any other loan program as this makes it difficult for them to make repayments to multiple agencies. Tracking graduates can add to our knowledge base: We would like to track our graduates so that we can learn what makes a business successful and leads to self-reliance. Also, we would like to support women who are facing challenges. Thanks for empowering women and children. Dorothy is a hardworking woman whose dream is to go ahead in life by taking care of her family and providing a good education for her two children. Life became tough for her when she lost her younger sister and she became the sole care provider for her three nieces and nephews. Her husband who drives a taxi, does not have sufficient income, to meet household expenses. Dorothy wanted to start a business. After she completed business training and received a loan, she started selling skirts and fabric. She is working hard to keep her two children in school and put her three nephews and nieces back in school as they had to miss school for a year due to the loss of their mom. Chipo is married with four kids. Life became difficult when her husband stopped working. Her children became despondent as they had to miss school. Chipo learnt about our program from a friend and applied for a loan. She received business training and a loan and started selling used toys. She worked hard, and saved enough to pay for school. Her family is happy and grateful for this opportunity. Her husband is helping with her business but is also looking for work. 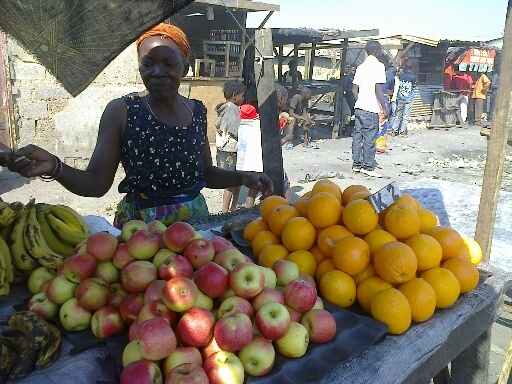 Chipo’s business is doing fine and she is on track with her repayments. Daphne is the sole caregiver for her six orphan grandchildren. She lost her children to AIDS related diseases. When she lost her children, her grandchildren had to miss school for six months. Daphne sold farm products but her income was not enough to pay for rent and food. 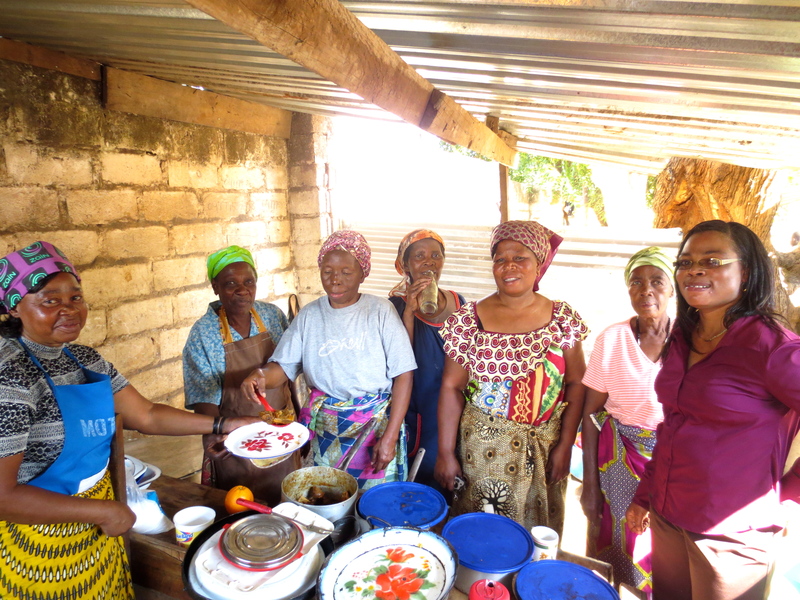 She enrolled in our micro loans program and expanded her business by adding fruits and vegetables. The expanded business is enabling her to save a small amount each week. She is now able to pay for rent, food, medicines. Her business is doing well; she has repaid her first loan and is now on her second loan cycle. She is very happy as her grandchildren are back in school and she is able to eat two meals a day. Annie’s husband is an alcoholic and is unable to support his family. Life was difficult for Annie as she had no income to pay for food and school. She received business training and a loan from our program. Her goal is to provide food and put her children in school. Annie worked hard, and her children are now in school. She says that education is the key to a good life. Annie is now on her third loan and on track with repayments. Her dream is to save and expand her business.